You’ve finished writing your book, and you’re ready for the next step—you’re ready to get on with the publishing process—but what next? Whether you’re a veteran self-publishing author or new to the process, there are hundreds of questions to ask and be answered. 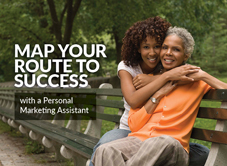 There are so many questions, in fact, that the situation calls for the professional support of a Personal Marketing Assistant (PMA), someone who is committed to seeing your vision brought to completion and who has the industry insight to make that happen. Your PMA is your asset, a team player who is as invested in your project as you are. And the PMAs who work for Outskirts Press aren’t just any voices on the phone … they’re the voices that win our authors—you—international recognition in the form of more book sales and more awards, statistically speaking, than any other full-service self-publishing firm. Because we know how vital a service it is that our PMAs provide, we keep our doors open. Even if you ultimately decide not to publish with Outskirts Press, you can still take advantage of this service. Anyone, even authors who choose another publisher (but why would you do that? ), can reserve a five-hour block of time with one of our PMAs. If you are publishing through Outskirts Press, this service is automatically included in all of our One-Click packages—that is, for Non-Fiction, Fiction, Spiritual, and Children’s Book Suites. No matter how great your publishing aspirations, we’re here to see you through! Click below to learn more and to add a Personal Marketing Assistant to your publishing dream team. Thank you very much for your comment. We appreciate your positive feedback.